InboxInbox My Inbox displays activity on tasks, projects, or conversations a user follows. 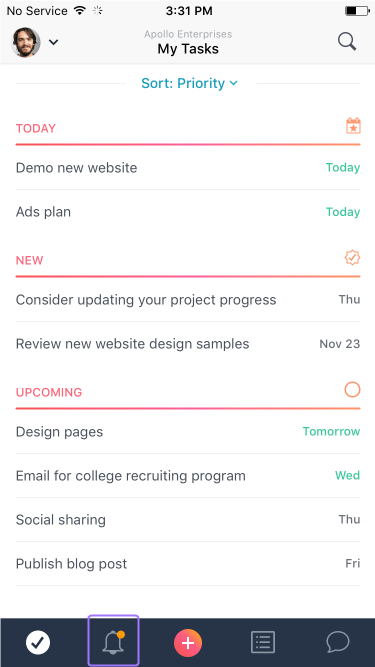 Read more is your personal notification center in Asana. Tap the bell icon to open up your Inbox and view all of your stories. The orange circle indicates that there are new notifications. There are 3 actions you can take on Inbox notifications. 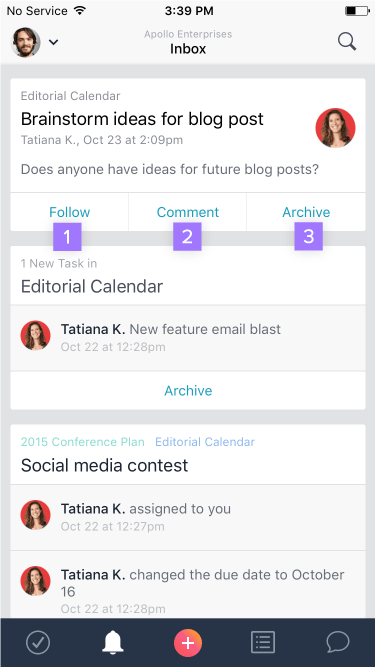 Tap any notification in Inbox to view the corresponding tasktask Tasks are the basic unit of work in Asana. Tasks can represent any kind of work, break down work into smaller pieces, or store information. Read more or ConversationConversation Conversations are how users communicate in Asana. Start a conversation on any project or team page. Read more details. 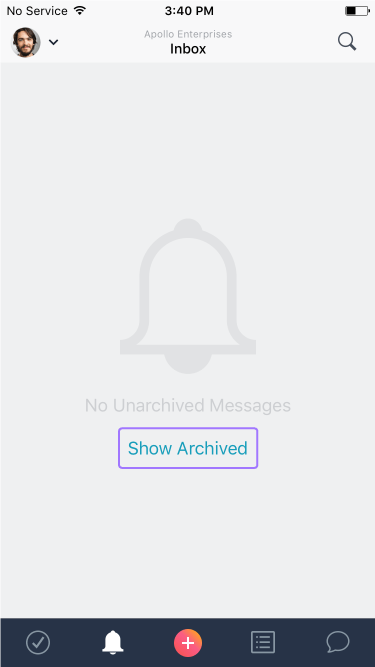 If your Inbox is empty, you can view the Inbox stories you’ve archived. With an empty Inbox tap View Archived to load your archived notifications.